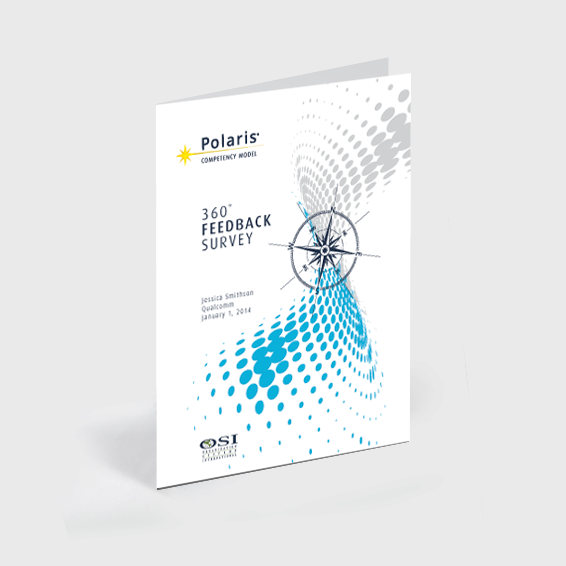 Online multi-rater survey that compliments the Polaris® Competency Model. The 360° feedback survey report presents and summarizes leadership strengths and developmental opportunities. Customization available upon request. Certification required prior to ordering for survey debriefing or OSI offers telephone feedback sessions. For further development, OSI also offers coaching using a worldwide certified network of professional coaches. **Qualification workshops available quarterly at OSI’s office. Please contact us for the next workshop dates.